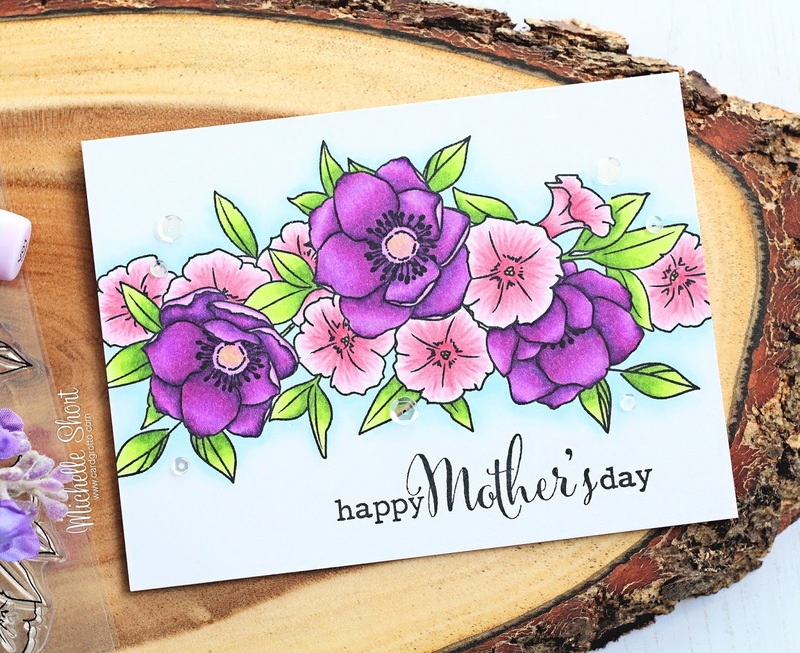 Hello there, today I have the card to share that I made for my mum for Mother's Day (we celebrated it here in the UK about two weeks ago). 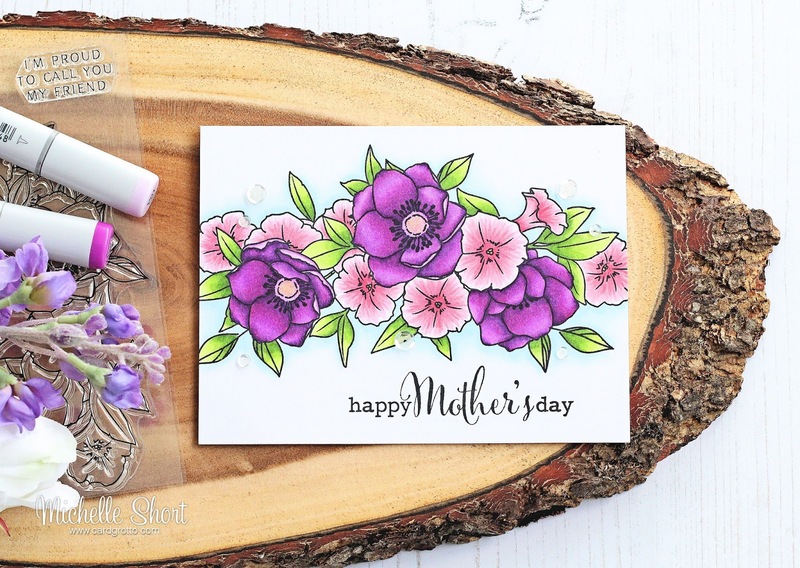 My mum loves flowers so I decided to use the WPlus9 Kind Soul stamp set for her card. I just love WPlus9's florals! I started off by taking a piece of white cardstock and stamped the flowers on to it using Memento Tuxedo Black Ink. I then stamped the sentiment from the Clearly Besotted All Occasion Sentiments Stamp Set below. The image was then coloured using Copic Markers. I also added a soft blue halo around the image to help it pop. The image panel was simply added to a white A2 card base with ATG. To finish off, I added PPP Sparkling Clear sequins and a little clear Wink of Stella to the centres of the purple flowers. COPIC MARKERS: Purple flowers - V09, V06, V05, V04, V01, Y13. Pink flowers - R85, R83, R81. Leaves - YG67, YG17, YG23, YG03. Shadow/halo - B00, B000, B0000, 0. A bit of a simple card but my mum liked it so that's what matters! :) Thanks so much for visiting me today. I hope you have a great week! Beautiful image and sentiment with lovely coloring! Michelle, this is so PRETTY! Simple is so often the best, particularly when the image is coloured as beautifully as this one. No wonder your Mum liked it, who wouldn't?